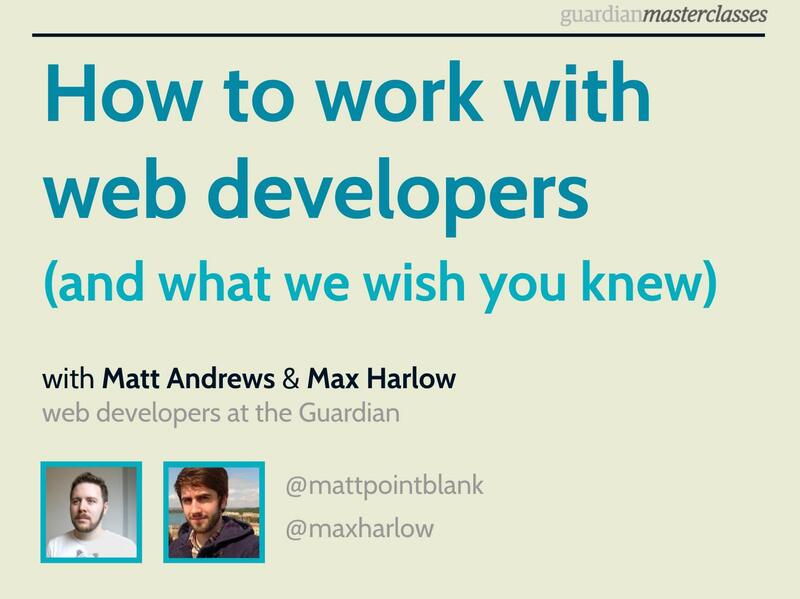 From 2010-2015 I worked at the Guardian newspaper as a client-side web developer. I started working there at the age of 23 and it was my dream job. 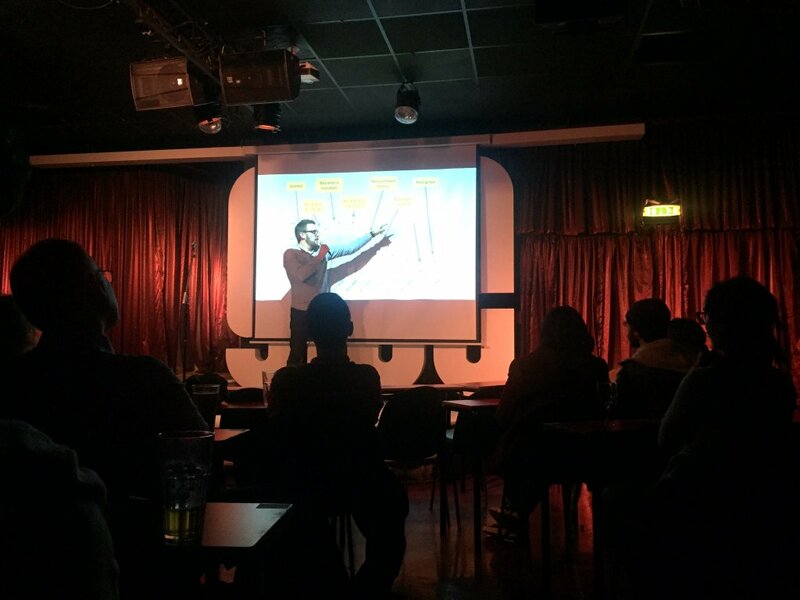 I want to talk about realising when you're unhappy at work and what to do about it when it happens to you. 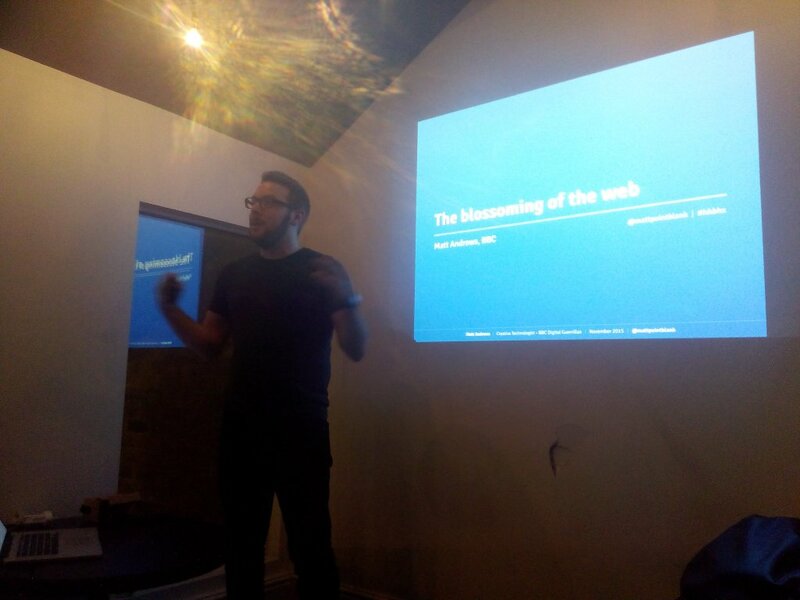 This talk is mixed bag of new(ish) developments in technology which intersect with journalism. I'm going to talk through six examples of things that I think are interesting that you should care about if you're a hack, a hacker, or that semi-mythical unicorn who claims to be both. 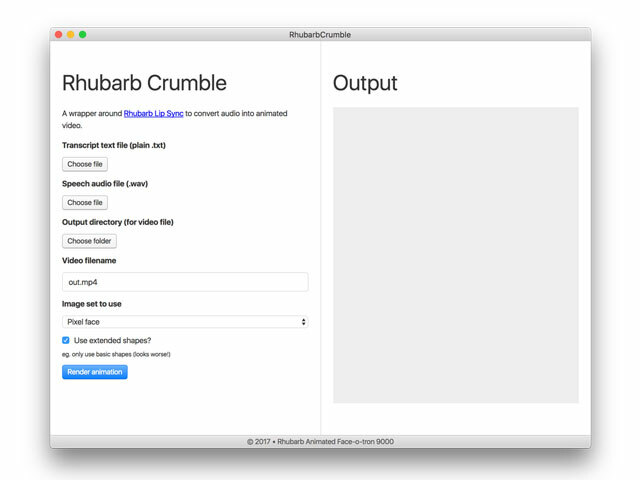 An Electron-powered desktop app, this wraps a command line tool for generating mouth shapes from audio files and animates them using images of lips. This was for a BBC Digital Guerrillas project to output quick animated video without manual lipsyncing work. 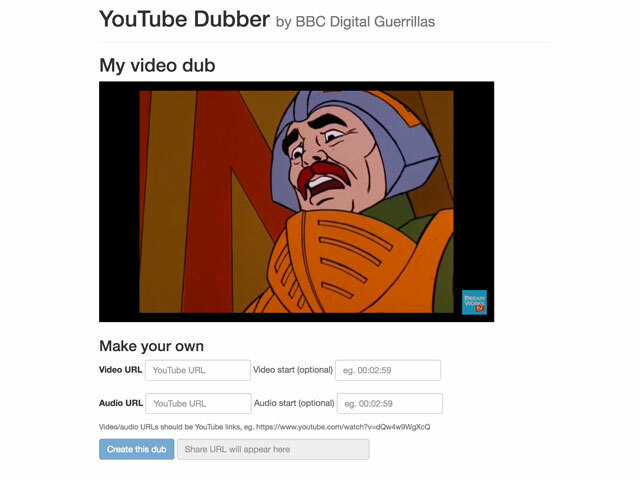 Another fun BBC Digital Guerrillas hack, this simple app lets you take the audio from one YouTube video and add it to the video from another. Hours of stupid, silly entertainment. A silly hack for a Christmas house party, this was running on our TV while we had a houseful of friends, showing their festive messages as they added them to the list. I accept no responsibility for their messages' content. 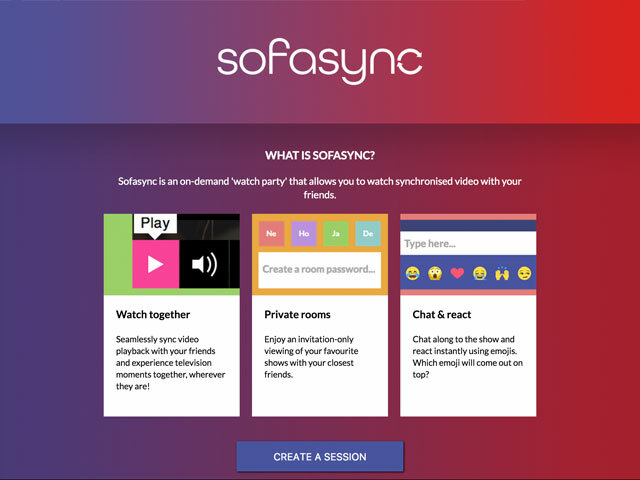 This was sadly never launched, but it was a fully-featured realtime chat/video app, using BBC iPlayer programme data to provide a synchronised chat room where remote friends could watch a show together, pause/play/skip at the same time, and sent text/emoji reactions. 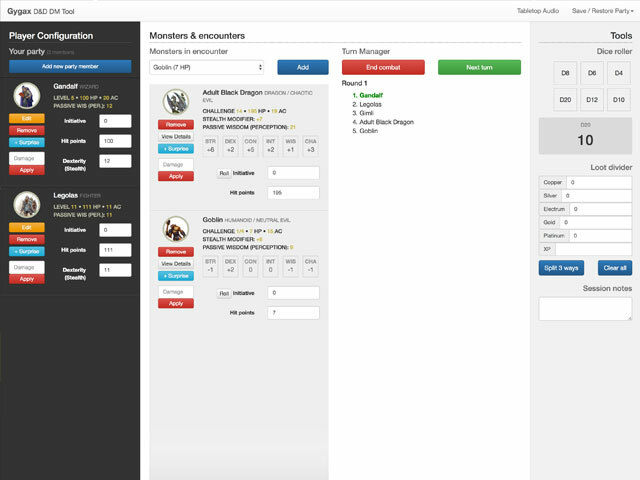 This is a work-in-progress webapp, built to aid my Dungeons & Dragons sessions with friends. While there are plenty of D&D apps out there, most are either too ugly or too advanced for my usage, so I built this one to solve a few things. 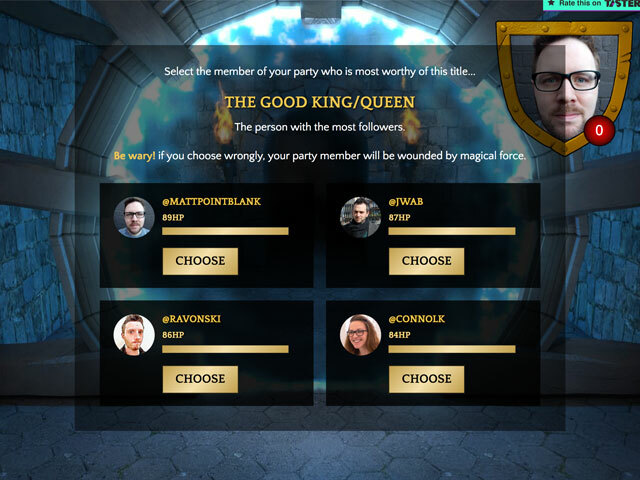 A much-revised Twitter-based game, masterminded by my friend and colleague Joseph Bell and built to allow you to choose your friends (using Twitter's API), enter a dungeon with them and battle monsters and answer questions about them. A BBC Digital Guerrillas project. 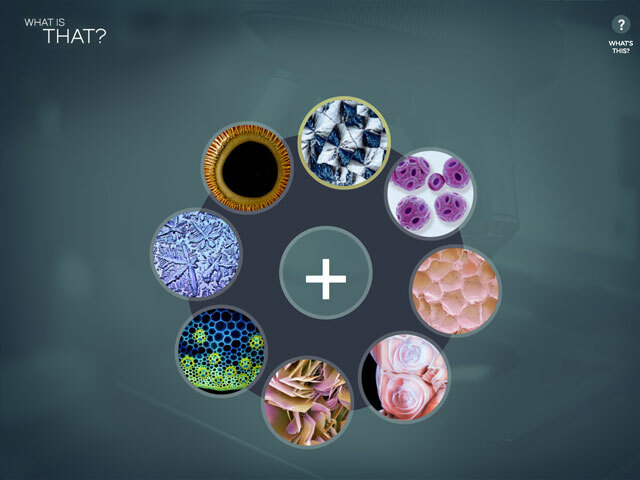 A BBC Science project which showed a variety of microscope images where users had to guess what they were seeing. 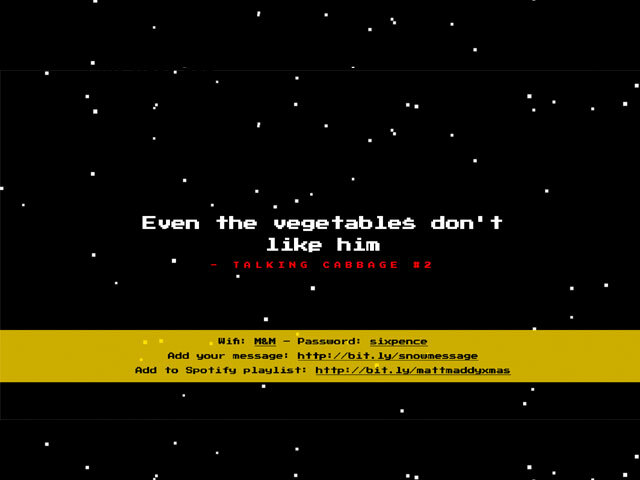 I built two interfaces: the rotating desktop one and a mobile carousel version, as well as an AngularJS-powered quiz. 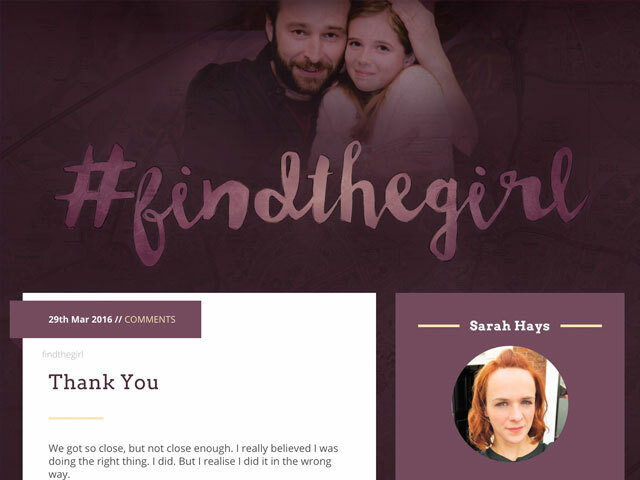 Another BBC Digital Guerrillas project, this featured half a dozen websites including computer hacking games, in-browser image editors, blogs, laptop tracking websites and more – all to support BBC Three's well-received Thirteen show in 2016. 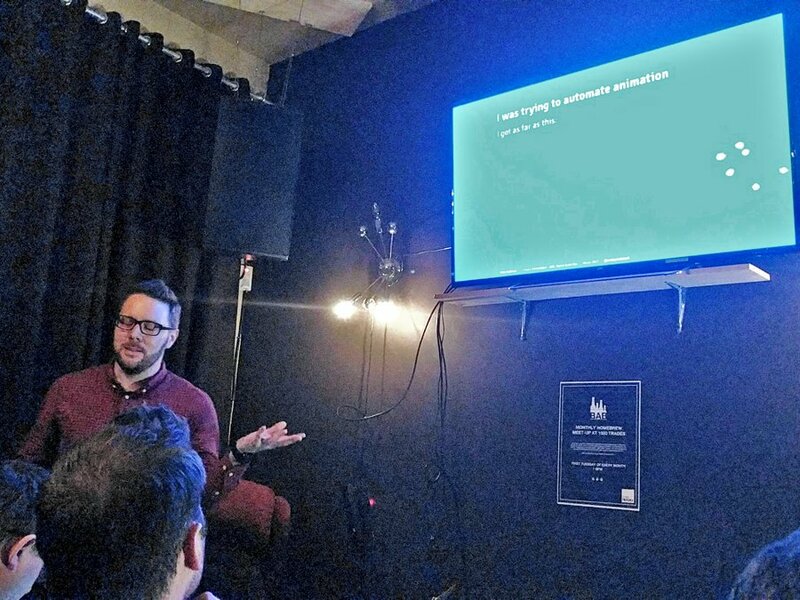 This lecture-style class was given to an audience of attendees wanting to know more about the folks with headphones and expensive-looking coffees increasingly littering their offices – how to work with them, understand them and get the best out of them. 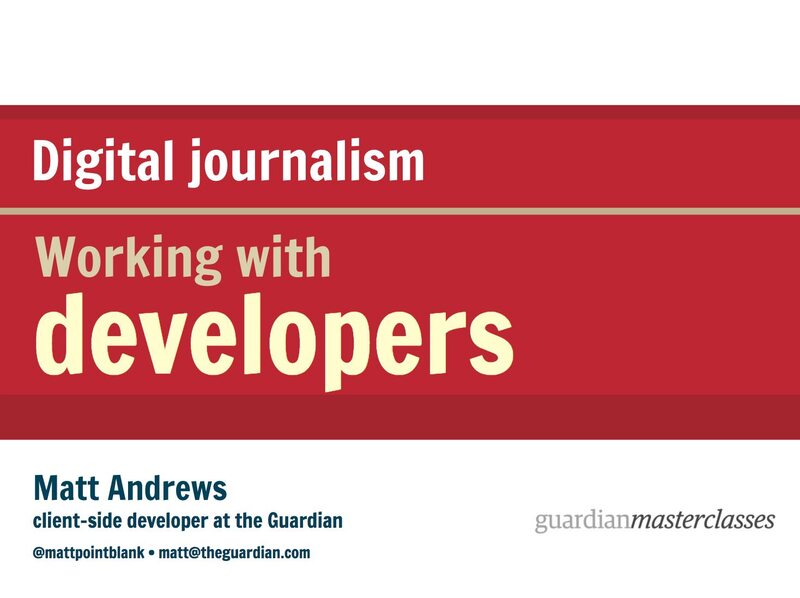 I was part of a series of tutors teaching audiences as diverse as lecturers, academics, student/graduates, and (in one case) the sports journalists from Italy's *La Gazzetta dello Sport* about the basics of digital journalism, including software, Agile and what developers do all day. 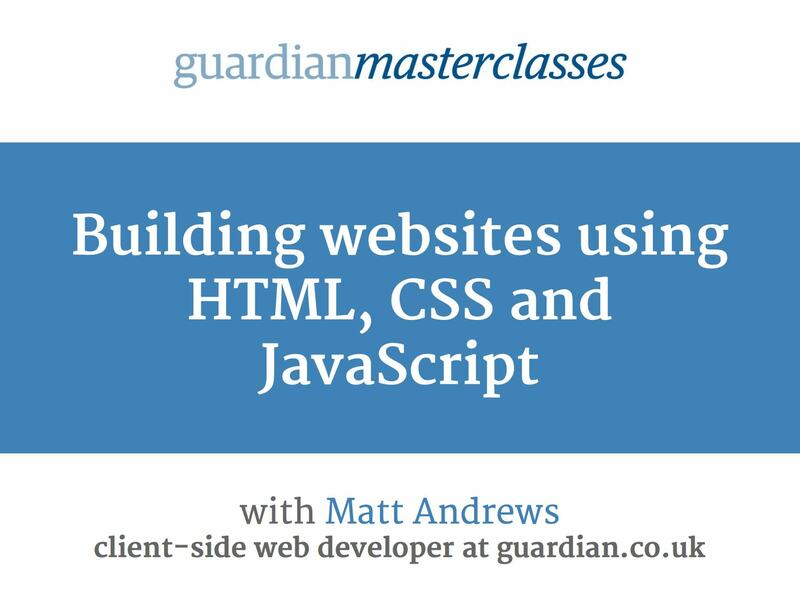 I taught this class for several years for attendees on the Guardian's Masterclass brand. 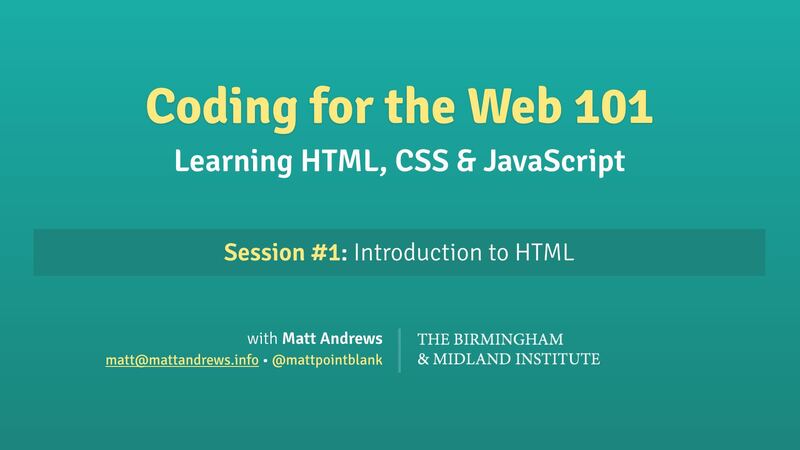 Over the four week evening class I covered the basics of the "holy trinity" of web design, and was proud to see a number of students later pick up careers in the web development industry.